Toyota notified journalists last week that a long-scheduled new-car test-drive event was scrubbed — for lack of interest. The drive, which was to be held Friday in Yokohama just south of Tokyo, “has been canceled due to insufficient attendance,” Toyota said in an apologetic email to non-Japanese media based in Japan. 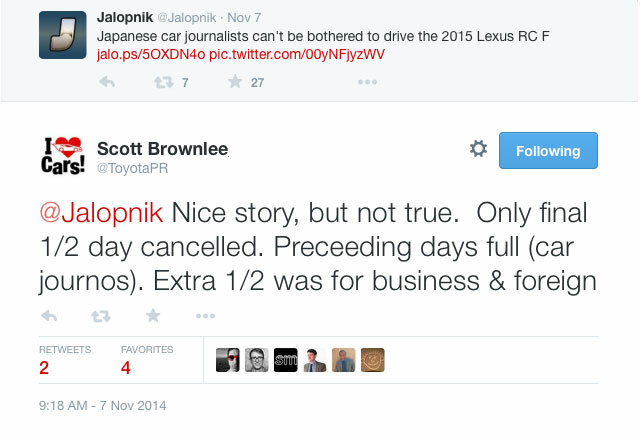 Toyota public relations was stunned. A baffled spokesman said it was just one more sickening example of the auto-alienation syndrome gripping this country and its young. This story was subsequently picked up everywhere from Autoblog to Jalopnik, despite the fact that an important detail was left out — the only cancelled part of the RC event was for business and foreign press, which had originally been added due to high demand from Japanese automotive journalists. 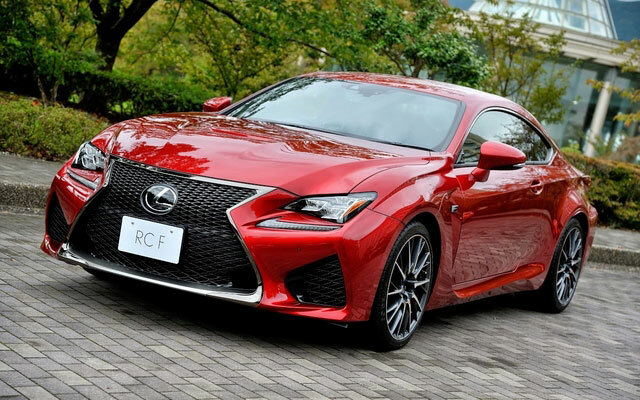 In the end, it was the lack of interest shown by business & foreign journalists that cancelled the event, and not some larger indicator that the Japanese public do not care about Lexus or cars in general. Mike Tran: This is what happens when you give the story to the news channels, they run and add their .02 cents in it too.